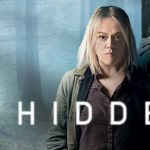 The Director of Get the Chance, Guy O’Donnell recently got the chance to chat to Rachel Williams, Development Producer, BBC Writers room – Wales. 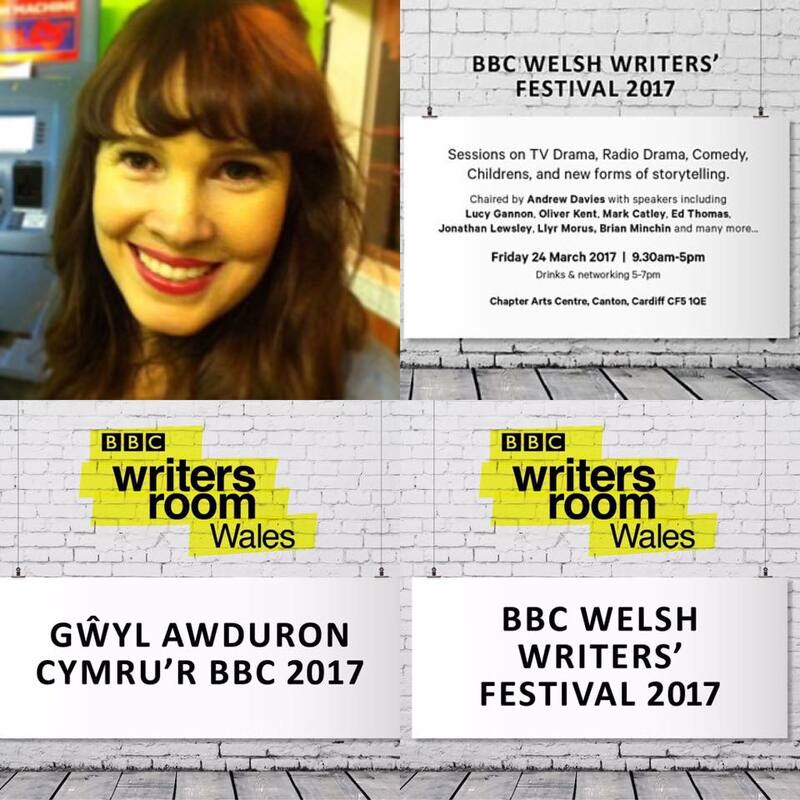 We discussed Rachel’s career to date, opportunities for Welsh and Wales based writers and the exciting new plans for BBC Writersroom Wales. Hi Rachel great to meet you, can you give our readers some background information on yourself please? Hi , I grew up in Church Village and went to primary school in Treforest, Pontypridd. I did a degree in English at Birmingham University and started out working as a music writer and journalist, and music radio producer before moving into factual television and directing on documentary and Arts series such as The Culture Show and Channel 4’s Cutting Edge. When I had my first child I came back to Wales and moved into TV development – I was Head of development for BBC documentaries where amongst other things I developed Factual drama including Jack Thorne’s ‘Don’t Take My Baby’ for BBC3. Telling fictional stories appeals to me for many reasons but mostly because you can go deep into the story and structure. 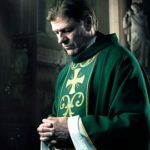 I feel very privileged to be able to read scripts and work with writers as part of my day job – and also to have licence to watch drama box sets guilt free! I think my primary school St Michaels in Treforest first sparked a love for the Arts – I still remember my inspirational English teacher Mrs. White and the inventive way she taught creative writing and poetry. I think the Eisteddfod was another huge influence – I was billeted with a family in North Wales to perform at the national Eisteddfod – which was an amazing experience and my first exposure to the Welsh language. I think it’s great that Wales has such a strong culture of valuing and supporting the arts. 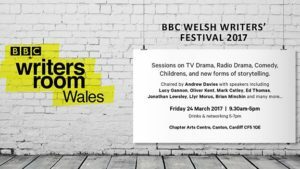 You are coordinating the BBC Writersroom Wales, what are the plans for this new initiative? Writersroom Wales has been set up with the aim of developing new and established writing talent in Wales, to find tangible opportunities for writers across the genres and to help develop more diverse stories about contemporary Wales on network drama and comedy. I started in the role just before Christmas and we are also looking to appoint a freelance script editor/ producer who can work across Welsh language submissions. 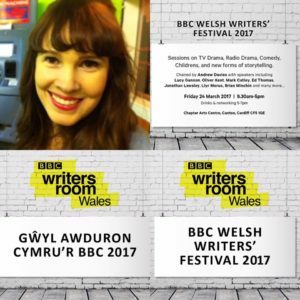 One of my first jobs is to set up the first BBC Welsh Writers Festival – an event that will bring together the Welsh writing community and launch the Writersroom in Wales. 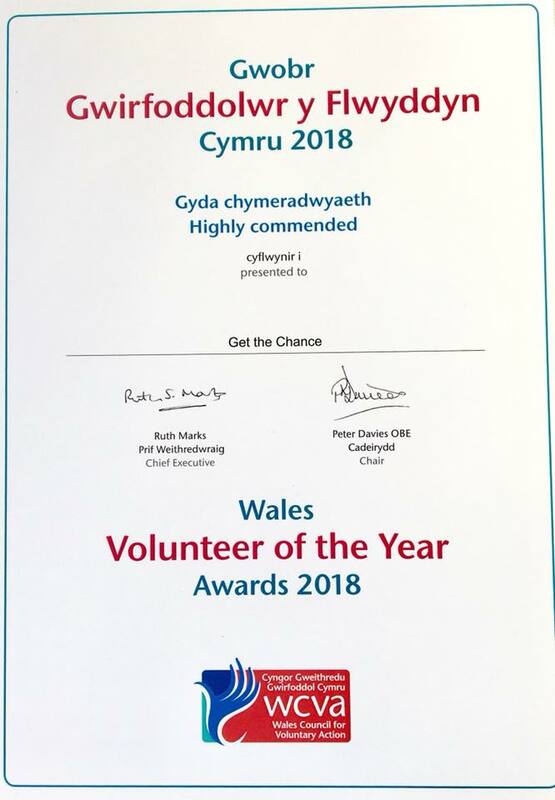 We are also planning an inventive launch event and writers workshop in North Wales in the summer in partnership with Radio Cymru and other partners. We hope to have regular one off writing events, writers residentials for writing commissions. We are going to set up a Writers development programme and work closely with Arts organisations from National Theatre Wales to Fio to It’s My Shout to support and develop writing talent. You have organised a Writers Festival on Friday the 24th of March at Chapter Arts Centre, I wonder if you can tell us more about this event? 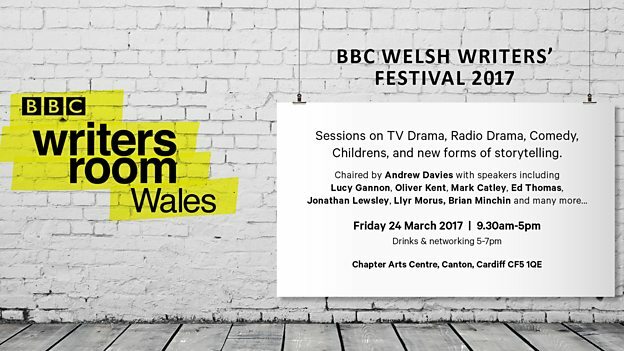 This is the first BBC Welsh Writers Festival and is modelled on the annual BBC TV Drama Writers festival. We wanted to gather the Welsh writing community together and give them some inspiration, ideas and information about opportunities and also to announce that the Writersroom has landed in Wales. We are putting on a mixture of craft and Q&A sessions giving writers an introduction to everything from Children to Comedy, Radio drama and TV drama. Andrew Davies will chair the day with a Q&A on his writing career followed by a craft session on adaptation, talking about War and Peace. We will also have a Q&A from the brilliant Lucy Gannon who will talk about her writing career across TV and radio. We have sessions on everything from Dr Who to Casualty and Welsh language drama like Hinterland. I’m really excited about the sessions on Comedy Drama and Representing Wales at the end of the day which will be a vital chance to hear from writers and programme makers about the current landscape and hopefully provoke some lively discussion. 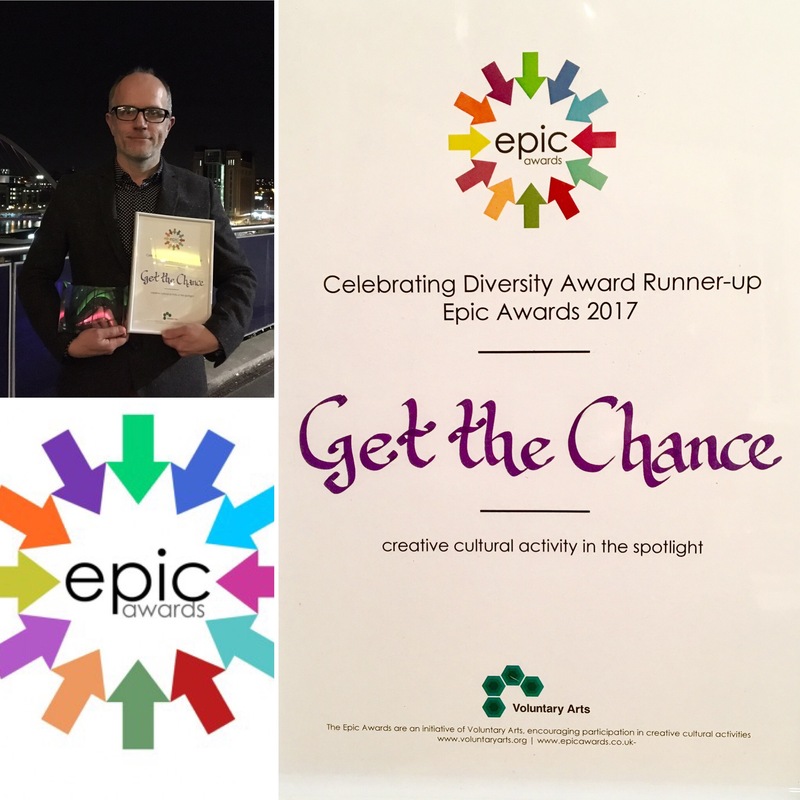 Get the Chance works to support a diverse range of members of the public to access cultural provision Are you aware of any barriers to equality and diversity for either Welsh or Wales based artists or specifically writers? I’m not aware of barriers, although arguably there is always a class barrier to becoming ‘a writer’ in the first place. 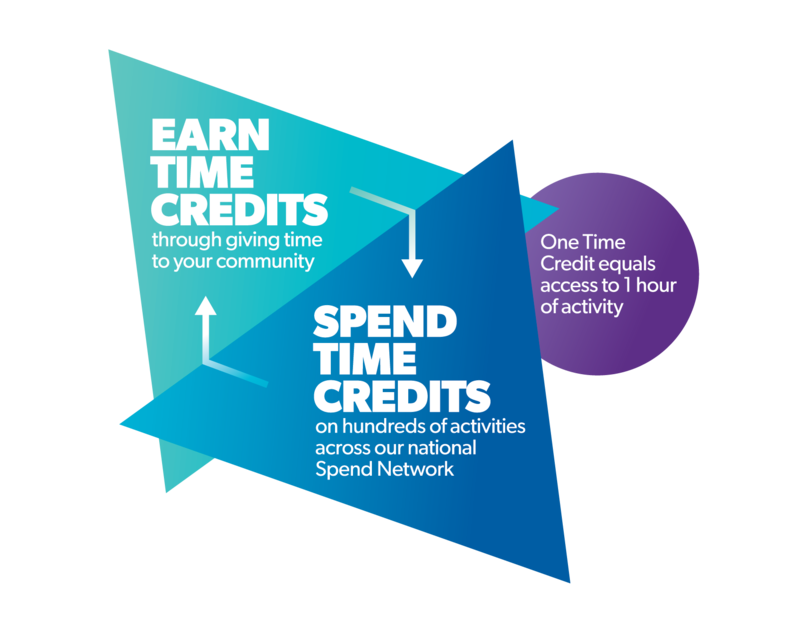 I know there are people in Wales doing brilliant work with under represented communities. The Iris Prize in particular is a fantastic success story that has an international reputation. But I do think there’s a sense that English language drama about Wales has not always reflected the diversity of contemporary Wales. 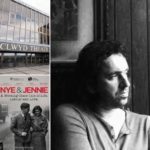 It would be great to see some more diverse stories of Wales on screen – whether that’s about the Somali community in Bute Town or the Italian Welsh community in the Valleys – from a wider range of perspectives. The Writersroom have just produced a second series of the Break for BAME writers – and the next series is coming out of Scotland. It would be great if it could come to Wales the following year. There are range of organisations currently supporting Welsh and Wales based writers, have you met with any of them? 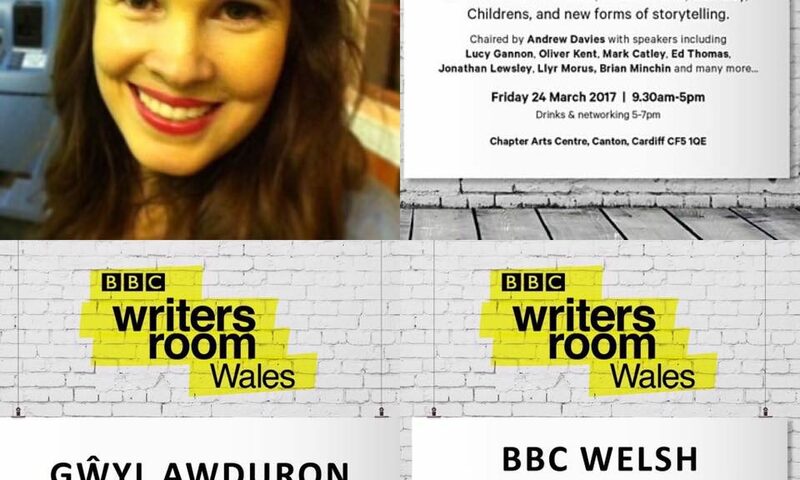 How do you see BBC Writersroom Wales working with the current support network for writers? In the first few months of the job I’ve tried to meet as many dramatic writing related organisations as I can from Ffilm Cymru to theatrical institutions such as Theatr Clwyd and National Theatre Wales. There are already people doing brilliant work in terms of writer support and development such as the Sherman Theatre who run a well respected writer development programme – we don’t want to step on any toes and duplicate work that is already being done. The question for me is how can we work and support existing structures and is there a need for something else that is not currently being addressed? Identifying that need is the sweet spot for the Writersroom – we are here to help fill that gap. But the key thing for us is that any initiative we set up has to have a tangible outcome for the writers at the end of it – whether that it is a slot on radio, TV or online. 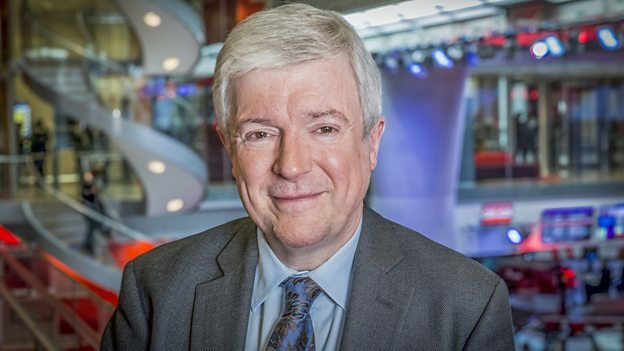 The deficit of English Language drama produced by the BBC reflecting the diversity of the citizens of Wales is a cause for concern. Is this something you will be tackling in your new role? This is an issue that has been identified by Tony Hall and this is partly why BBC Writersroom has been set up in Wales – to nurture and develop the next generation of story tellers writing about Wales. The recent announcement of an additional £8.5m funding for programming in Wales – as well as a new £2m development fund for comedy, drama and factual in the Nations – should be a real boost and help generate new drama and comedy coming from Wales. 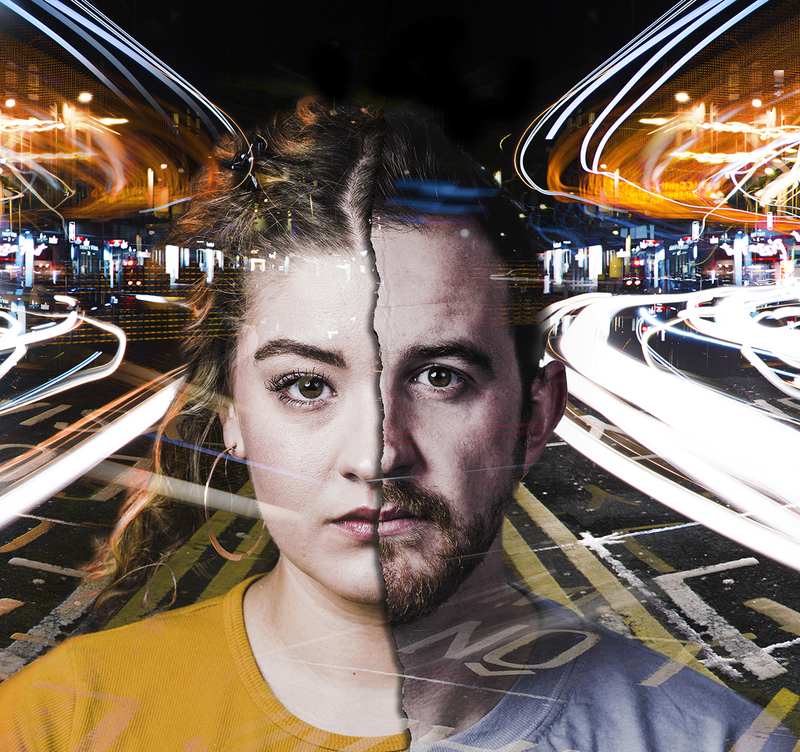 We already have brilliant writers here working in theatre and radio – what would be great is if there was a vehicle for talented new writers to develop and hone their writing. So much of good writing is about craft – understanding story telling and the beats that make good drama – and this is definitely something that can be refined. Russell T Davies talked about learning to write on daytime drama The Grand – for the first time writing a scene entirely in subtext. I know these sort of long running drama strands are expensive but perhaps we could experiment with form – do it online or in a drama podcast? I love the vibrant theatre scene in Wales, which is full of talented actors and writers. 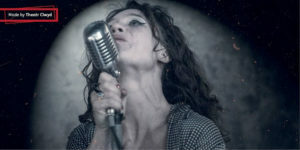 I recently saw Lucy Rivers’ Sinners Club at the Other Room – visceral, immersive ‘gig theatre’ that told a factual story in a clever and layered way. 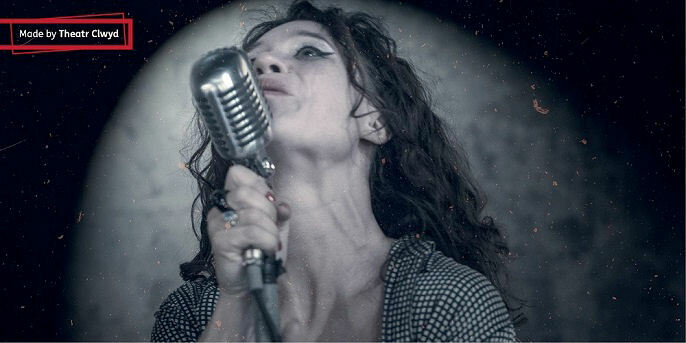 She wrote and performed it – and for what was essentially a monologue the pace never lagged. It’s going to be showing at Theatr Clwyd next. Watching theatre at the Other Room always feels like a treat, as it’s such a small intimate venue. Thanks for your time Rachel.